Moore Haven, Fla. - Moore Haven student class presidents and vice presidents from grades seven through 12 officially opened their new Moore Haven Junior/Senior High School with a ceremonial ribbon cutting Feb. 17. During the ceremony, the builder Manhattan Construction turned over the facility on time, in front of the student body, to the Glades County School District. 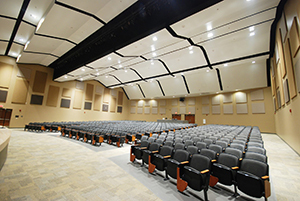 The 109,564-square-foot facility, designed by Schenkel Shultz Architecture, includes a two-story 24 classroom wing, an interactive media center, cafeteria with interior and exterior dining, gymnasium and state of the art 512-seat auditorium. The new building plan to replace the 65-year-old school building has been in works for more than eight years, said Bass. 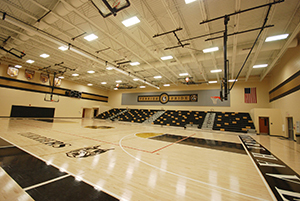 Initially, the District, which is supported by a small rural community, was unable to bond a project of this size. They had to qualify for special facility funding from the state after it was determined the school fell within a “critical need” classification. According to Bass, the District was spending between $5,000 to $10,000 annually to keep the fire alarm within code, the gymnasium was not air conditioned, and many other parts of the half-century-old school building were in dire need of updating. With the District’s hard work, multiple visits from the Department of Education, and support from local government representatives, the funding was approved in 2013. Because of the unique opportunity, the District knew they had to get it right while also planning for the future. 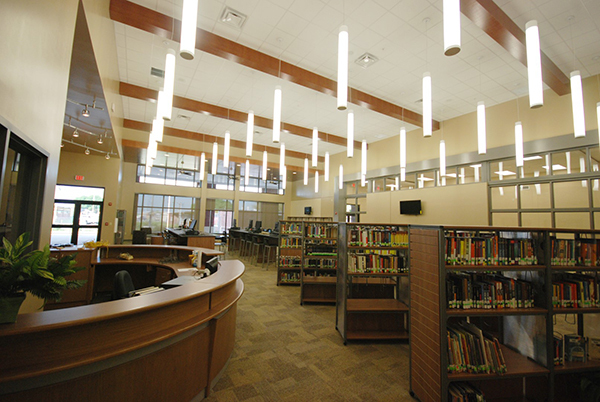 “The design is really innovative, we wanted to make sure something was built that would stand the test of time with all the changes in education,” commented Bass. The remainder of the project, which is underway by Manhattan Construction, is scheduled to be complete at the end of April. Work includes campus site work and construction of a vocational building, which will provide students a weight training room, shop classroom and computer lab. You are currently browsing the Manhattan Construction Group blog archives for March, 2015.